The kids were so excited to go see Mason at work. I looked away for a few seconds and found Stratton half way up the ladder climbing into the tractor with a big smile on his face. After we sat in it for a while, he jumped right into helping Daddy and D fix something. He found a tool and went to work. I didn't think I was going to get him to get in the car to go home. He was so happy - and DIRTY!! 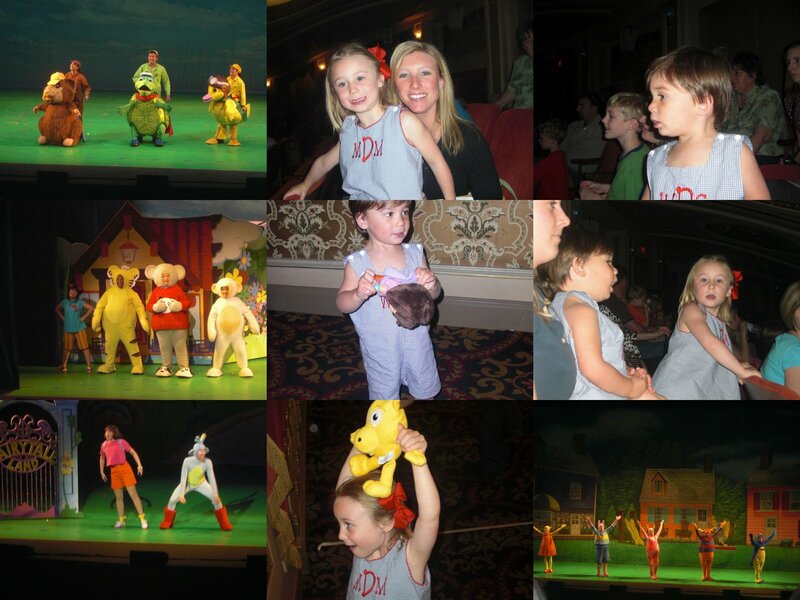 Last Saturday, Meri Lee and I took the kids to the Orpheum to Storytime with Nick Jr. It was hosted by Moose and Zee and Ki Lan, The Backyardigans, The Wonder Pets, and Stratton's girlfriend DORA were there. The had such a great time, and Stratton finally got his Dora doll! !